If I had to choose one word to summarize the beginning of our winter steelhead season in Northern Michigan it would be “struggle.” So far, this has been one of the worst winters for chasing chrome I’ve experienced. Nevertheless, there remains enough steelhead in our streams to keep me pursuing them several times each week. However, slow fishing has caused me to resort back to the basics, meaning I’m float fishing with top producing baits and spending long hours in sections of river that have produced best for me over the last few years during the winter months. I’ve been hesitant to experiment with different baits and methods and instead work to fine tune my program solely with proven techniques. By fine-tuning I’m referring to fishing top producing holes with my favorite baits in different colors and sizes. 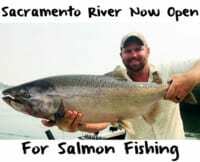 For-instance, working the holes with white, chartreuse, peach and pink colored spawn bags, in all sizes, from 3-4 salmon eggs to 6-10 salmon eggs. If I don’t get fish to go on spawn, then I’ll switch up to running jigs with wax worms and brined minnows. I’m taking my time to cover every section of the hole with an array of baits. As with spawn, I make sure to run all my favorite jig colors, namely chartreuse/orange, red/black, orange/black, orange/white and so on. I’ll spend up to an hour in a hole until I feel confident that I’ve fished every color and size of bait. While in the past bites came more frequently, we are working harder for them this year. One big mistake many anglers make is believing that a slight change of color or size won’t make a difference. I can’t tell you how many times I’ve fished a hole with a 6-7 egg chartreuse spawn bag for a half hour with no success, then threw on a four egg white spawn bag and got a bite on my first cast. It truly blows my mind how the slightest change of color and/or size can make all the difference, especially while fishing small baits such as jigs and spawn bags. As a wading steelhead angler, float fishing has been my primary method this winter. Float fishing is a great method, as it possesses a natural presentation and allows you to key in on different current seams and depths throughout a hole. While working a hole, I adjust depths until I’m hitting bottom 2-4 times throughout the hole. Once I’m 100% sure I’m hitting bottom several times throughout a hole, I’ll then slowly set shallower 2-3 inches at a time until I’m only occasionally hitting bottom. Many of the fish that I’ve caught this year, I thought it was a snag or bottom when my float went under. 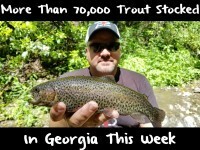 I was pleasantly surprised when it was a steelhead. I always make sure I hit every current seem and location throughout a hole. It’s important to not be afraid to lose a few hooks and retie, because it will pay off. Winter steelhead often aren’t as aggressive as fall or spring steelhead. Oftentimes you have to put your bait right in front of their face. Sometimes it may take 50 casts in a hole to perfectly hit that current seem a steelhead is holding in. Once I feel confident I’ve thoroughly fished every current seam and set my float fishing rig deep enough to ensure my bait is hitting bottom in a hole, I’ll then move onto the next hole. During the winter months, my most consistent producing cure for spawn is Natural BorX O Fire. If we get a couple days during the middle of the winter when we receive rain and the water conditions are fairly dirty, then I’ve found Pink and Orange BorX o Fire cured eggs can produce best. Otherwise, when it’s clear, we opt for natural. I usually can distinguish odd bites like these when natural eggs tied in pink netting produce best. Steelhead can be one of the most unpredictable fish. That’s one of many reasons I enjoy targeting them so much, but it also makes us come to the river with spawn cured up in several colors. I generally cure my minnows in Fire Brine and Nectar. My best producing colors while fishing cured minnows are brining them in natural, chartreuse, orange, red and pink. Normally, I match the color of the cured minnow with the general color pattern of the jig. I believe that the upcoming late winter and spring steelhead season is going to be in a lot better shape than what we’ve experienced thus far. From my experience, the worse the fall and early winter steelheading season is, the better the late winter and spring months are. 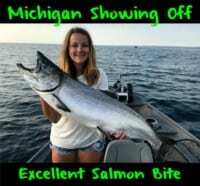 We saw a good amount of steelhead while charter fishing on Lake Michigan this past year, so there are going to be a good amount of fish to come into our streams at some point. Overall, I’ve been sticking to float fishing spawn bags, jigs/minnows and jigs/wax worms. I make sure to thoroughly fish every hole with a variety of colors and sizes at different depths before I give up on it. Don’t be afraid to grind out an hour in a hole while working all different bait colors/sizes at different depths. Winter steelhead are known to make you work for them. In a year with fewer numbers of fish you’re going to have to work a little harder to find success. Editor’s Note: Kyle McClelland is the founder of XXL Chrome Chasing http://www.chromechasing.com/.